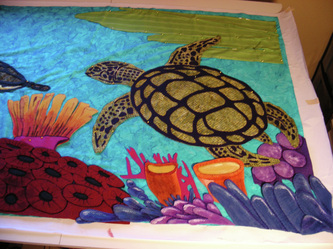 The Sea Turtle Quilt is 4'x7' and is an applique in felt. 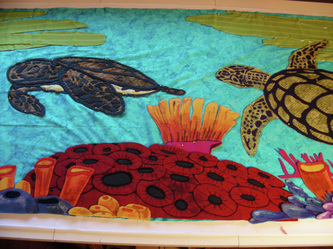 The felt is being painted and applied to fabric. The Sea Turtles are a combination of fabric and felt. 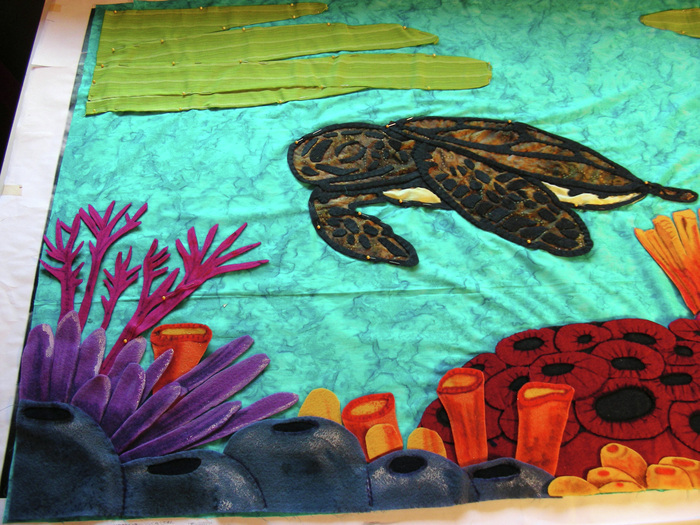 The felt is a recycled bottle cap material and paints differently than wool felt. The finished piece will be dyed, embellished and quilted.